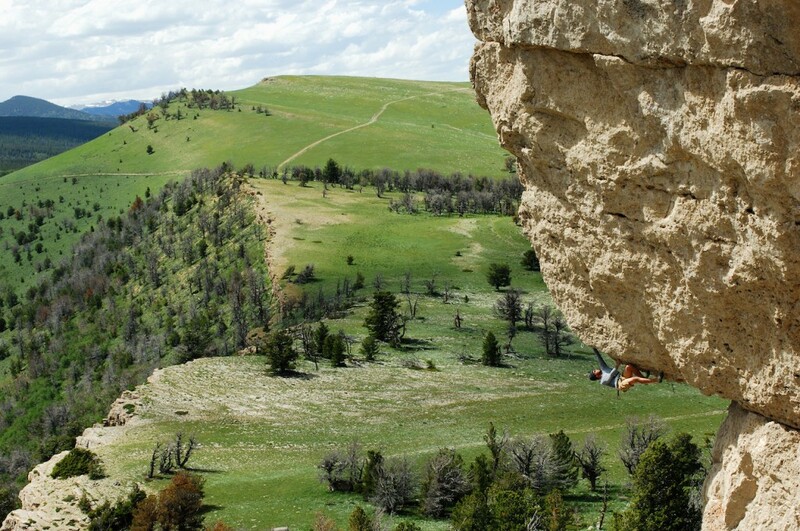 Lander, WY – The International Climbers’ Festival is a five-day rock climbing festival that brings together hundreds of people from across the country to Lander. The event includes rock climbing clinics, speakers, and plenty of fun for climbers of any age. Located in central Wyoming, Lander sits at the base of the spectacular granite-filled Wind River Range, which has some of the best alpine routes in the country. 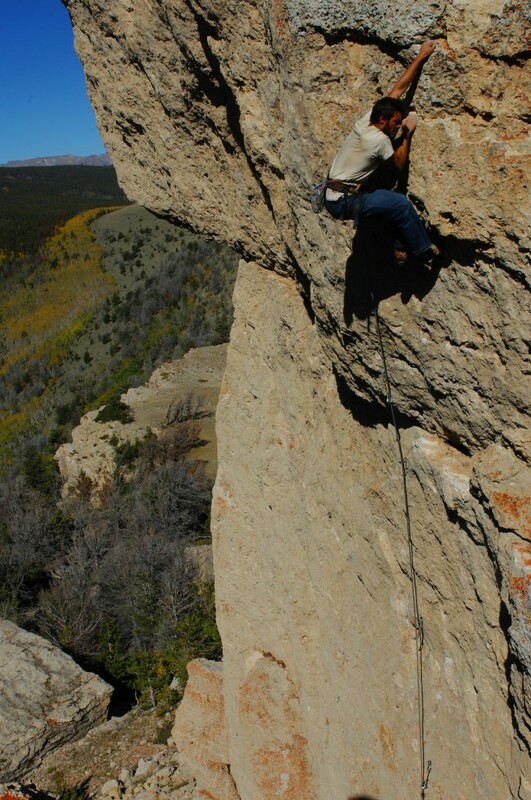 Just outside of town are the legendary limestone-dolomite sport-climbing crags of Sinks Canyon and Wild Iris, where you can find single pitch sport and traditional climbing as well as bouldering with grades for the whole family. 5:00pm- Central Bank & Trust Art Crawl begins and will make stops at local businesses to see various art displays and scotch/beer tasting. 7:00—11:00 pm- Opening Party, brought to you by La Sportiva and the Lander Bar at the Gannett Grill. Pull-Up competition starts at 7:00pm and band, Trout Steak Revival, starts at 8:00pm. 2:00pm-9:00pm- Trade Fair at City Park. Includes booths, exciting games, gear giveaways, and a Dyno Comp that starts at 6:00pm. All presentations, $10 Art Crawl dollars, Trade Fair, T-shirt, and Clinics. Includes select free food and discounts for drinks. Your way to experience the entire Festival! All Access pass, specially priced for kids ages 6-17. Kids under 6 are free! Fremont County, WY – The Rev3 Cowboy Tough Adventure Race will return to Wyoming for a second year, and this year not only will a considerable portion of the race take place in Fremont County, but the county will have its very own team. The Wind River Visitors Council is sponsoring a local four-person team for the three-and-a-half-day race on July 17-20. The Wind River Country Team will be the local team to root for as the race makes its way from South Pass City to Casper. Adventure racing mixes outdoor sports like mountain biking, trail running, trekking, and water sports with navigation challenges over a course that, in this case, totals 290-390 miles. The Wind River Visitors Council is looking forward to following the team, comprised of Adams, Shad Hamilton, Chuck Schuster and Karla Wagner, as they prepare for the race in the Southern Wind River Mountains of Wyoming over the next four months. These competitors will keep the public updated about their adventures in preparing for the race, while helping spread the word about the amazing access and recreational opportunities Wind River Country has to offer. Wind River Country is hosting the start of the Adventure Race on July 17, as well as a significant portion of the route on July 18. The race will start at South Pass City State Historic Site. Competitors will hike, bike trek and paddle through the Shoshone National Forest, Sinks Canyon State Park, Lander, Riverton, Shoshoni, Boysen Reservoir and Boysen State Park. On July 19, competitors will head toward Casper for the final portion of the race. According to Paula McCormick, Marketing Director of the Wind River Visitors Council, a partnership with Governor Matt Mead’s Office, Wyoming Office of Tourism and Central Wyoming College are making it possible to host the start of the race in Fremont County. Joining the Wind River Visitors Council in supporting this team already are the National Outdoor Leadership School, the Lander Cycling Club, Brooks Running and Deuter. “The Wind River Visitors Council is working with our partners to make this race great for the competitors and for locals and visitors who may want to watch portions of the race. We are very proud that Fremont County was selected to be the start of the race in its second year in Wyoming,” McCormick explained. Fremont County is a great place for adventures—an outstanding location to train for an adventure race such as the Cowboy Tough. Not only do the mountains afford excellent training grounds, but the communities also provide support like an extended family. The Wind River Visitors Council is Fremont County’s Lodging Tax Board that oversees tourism promotion for the county and its communities. For a complete calendar of events go to www.windriver.org/calendar, or to request a vacation packet, please visit us at Wind River Country or call 800-645-6233.